A three day strike planned by Ireland’s nurses for this week has been suspended. The Irish Nurses and Midwives Organisation and Psychiatric Nurses Association decided to suspend their strike after an intervention by the Labour Court. 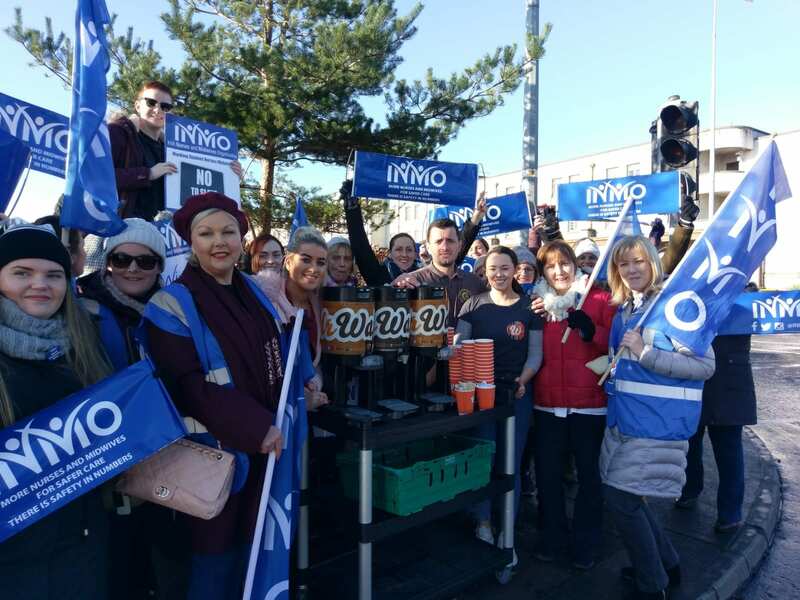 It was intended for the two nursing unions to carry out a three day strike from Tuesday to Thursday, following up on three days of strikes from the INMO over the past two weeks. The Labour Court intervened on Monday to try and find a solution to this dispute over pay and working conditions. Several recommendations were made by the court including addressing the key pay issue by moving thousands of nurses to a better pay scale of €35,806 or upwards. The cost of the Enhanced Nurse Practice salary scale will be handled by “ameliorating” entrant pay agreements and reducing the spend on agency nurses. Details of the recommendation will soon be presented to union members and subject to a ballot. The HSE said that it welcomed the decision by nurses and midwives to suspend industrial action. Many thousands of patient appointments have been cancelled or delayed, but from tomorrow the HSE said it will “endeavour to do everything we can to restore normal services”. So far some 90,000 appointments have been cancelled due to the three days of strikes that have already take place. Health Minister Simon Harris said that he understood that nurses didn’t make the decision to strike lightly, and that he looked forward to the health service resuming work as normal. Minister for Public Expenditure Pascal Donoghue will bring the Labour Court recommendations before the cabinet this week, along with a projected cost. He said that he believes they do not contravene the public sector pay deal, which has been the big sticking point for the government side in this dispute.